Skin conditions are something which plague many of us. No matter how much we would love to have perfect skin, it doesn’t always turn out that way. However, with the wealth of medical assistance available these days, it’s now possible to treat skin conditions in an easier more efficient manner. This goes for treating venous skin ulcers as well. The following will highlight venous skin ulcers description & treatment options so you can determine if this skin condition is an issue for you and, if so, how you can treat it. What Are Venous Skin Ulcers? In order to treat venous skin ulcers, you first need to know what this skin condition consists of in general. Venous skin ulcers are shallow wounds which occur on the skin in areas when leg veins don’t return the blood to the heart as they should. Venous skin ulcers are also called venous insufficiency. Venous skin ulcers usually appear on the sides of one’s lower leg, in the area between the calf and ankle, and often present symptoms such as itching, burning, rash or dry skin. These venous skin ulcers do not heal too quickly and usually reappear if preventive measures are not taken. Venous skin ulcers are vascular issues which are caused by poor blood circulation. Other things which can contribute to the occurrence of venous skin ulcers include deep vein thrombosis, previous leg injury, varicose veins, obesity, smoking, lack of physical activity, and continual standing. Venous skin ulcers are not isolated events. These types of skin conditions can go away and reappear, unless you start working towards eliminating the things which contribute to the formation of venous skin ulcers. If you are concerned about current venous skin ulcers, there are treatment methods available to make your venous skin ulcers go away. A medical health professional can diagnose your skin condition and treat it accordingly in various manners once a diagnosis has been made. If you have venous skin ulcers, you will most likely be eager to get rid of them whenever possible and prevent them from returning. Compression stockings can be worn to improve blood circulation, sitting with your legs raised for certain lengths of time will help, and, when necessary, vein surgery may be necessary to treat venous skin ulcers and improve circulation. Preventing venous skin ulcers from reoccurring in the future can be accomplished by quitting smoking, being more active, and losing weight. All of these things will help you to improve your circulation. If you think that you might have venous skin ulcers, the best way to be certain is to consult a doctor. Norman Chideckel, MD, is a vein specialist, based in Manhattan, who will evaluate your condition and offer treatment options for you. Venous skin ulcers can be treated in various ways as well as prevented from occurring in the future. Dr. Chideckel will see you in an initial consultation, learn more about your condition, and then help you to get rid of those venous skin ulcers quickly and effectively. Contact Dr. Chideckel today for an appointment and start finding a solution to your venous skin ulcers by meeting with a board-certified vascular specialist in this area. When you have varicose veins, you might find that living with these veins is something which doesn’t bother you. In the alternative, some individuals don’t like the looks of the veins and strive to find ways to rid themselves of these unsightly blemishes. The good news is that there are ways to treat varicose veins to make them disappear and help you obtain clear skin. One way to do so is through endovenous laser ablation. 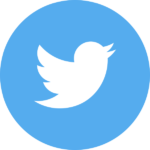 So, is endovenous laser ablation the best treatment for varicose veins? Learn more about this procedure below and decide whether this vein removal treatment is right for you. Endovenous laser ablation is a laser procedure used to eliminate unsightly varicose veins. It is one of the more commonly used procedures for vein removal. Some of the other vein removal techniques include sclerotherapy, the VeinGogh treatment, and ambulatory phlebectomy. This type of treatment is not too invasive and can be completed in a doctor’s office with efficiency and effectiveness. 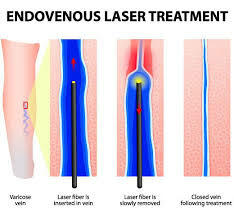 Endovenous laser ablation is a varicose vein removal procedure consisting of inserting a small laser fiber directly into the vein of the patient. Once in there, pulses of laser light are directed into the vein which will cause the vein to collapse. Local anesthesia will numb the area prior to the procedure being performed in this vein removal outpatient procedure. Not too much recovery time is needed with regard to this kind of vein removal treatment procedure. Is Endovenous Laser Ablation the Best Treatment? Whether endovenous laser ablation is the best treatment for varicose vein removal depends on a few different factors. First, you must take into consideration your individual vein issues as see whether this type of treatment will be the most successful with your individual case. Secondly, when deciding whether or not endovenous laser ablation is the best treatment, you want to consider the invasiveness factor. Although a minimally invasive procedure, there is some slight invasiveness with regard to this treatment. So, you want to be sure you are comfortable with this aspect prior to obtaining this treatment. Lastly, endovenous laser ablation treatment offers a success rate of 98% for patients the first time around. This shows that the success rate is extremely high and will help to eliminate veins and do so with the first treatment received. If you have unsightly veins which have been bothering you for some time, now is a good time to consider doing something about it. If you live in the New York City area, Dr. Norman Chideckel is your go-to medical professional to have your vein removal procedures performed. Whether you are interested in the endovenous laser ablation treatment or would like to view some other vein removal options, we can help. The best NYC varicose vein doctor will evaluate your vein issues and offer treatment method options to take those veins away. 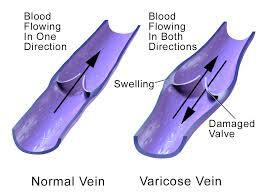 The procedures will be performed at the Vascular Surgery and Vein Center in a quick and efficient outpatient setting. Dr. Chideckel will review your options with you, ranging from endovenous laser ablation to the VeinGogh procedure and help you to find the procedure most suitable for you current needs. Call 212-993-6133 today to schedule an appointment. Most people would love to have smooth, blemish-free skin without ever having to undergo treatments in order to do so. This is particularly true with spider veins, a common and milder type of varicose veins. However, it often takes a procedure to remove spider veins and promote blemish-free skin. So, if you exclaim, “I have spider veins on my legs! How do I get rid of them?” the following details will prove helpful in your quest. What Are Spider Veins and How Do I Have Spider Veins on My Legs? 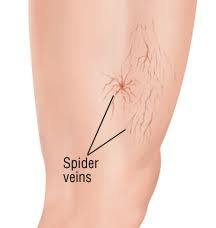 Spider veins are smaller red, blue, or purple vessels, which twist and turn under the skin. These are easily visible through the skin and are often seen on the face and legs. The spider veins appear on their own, however, there may be predispositions to acquiring spider veins related to heredity, occupations which involve a lot of standing, obesity, hormonal influences, birth control pill use, postmenopausal hormone replacement, history of blood clots, and conditions which cause increased pressure in the abdomen. What Does Spider Vein Treatment Consist Of? There are ways to treat and prevent the appearance of spider veins. These treatment and prevention methods range from at-home self-care options to treatment by a medical professional. For those who wish to treat their spider veins on their own, you can improve your circulation and help to prevent spider veins by exercising, elevating your legs, and alternate standing up and sitting down during work on a continual basis (depending on whether your job is more sedentary or mobile in nature). The at-home methods won’t treat spider veins which already exist, but will help to prevent new ones from popping up. For treatment methods outside of the home, individuals suffering from spider veins can undergo sclerotherapy with the assistance of a medical health professional. Sclerotherapy is the most common type of spider vein treatment and entails getting chemical injections in the spider veins and then wearing compression stockings for one to two weeks after the treatment. This type of treatment method works to remove spider veins by making the vein walls stick together and preventing blood flow. This will also improve circulation and reduce swelling. Another type of treatment for spider veins is laser treatment. A laser light will be directed at the veins and smaller spider veins might disappear immediately after treatment whereas larger ones may take a few months to disappear. An additional, newer type of spider vein treatment being used is the endovenous laser therapy (EVLT). This is often used instead of having to surgically remove a vein. 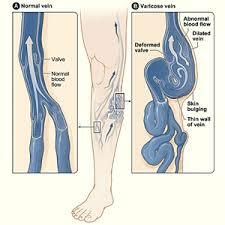 The treatment works inside of the vein via a laser fiber in order to destroy it. The treated vein often takes about a year to disappear with this type of spider vein treatment. Are you ready to have your spider veins evaluated and treated? Norman Chideckel, MD of the Vascular Surgery and Vein Center in New York City can help you with all of your spider vein treatment needs. Contact us today for an appointment with the best varicose vein doctor in NYC, Dr. Norman Chideckel, and start on your way to enjoying a clear, vein-free appearance. 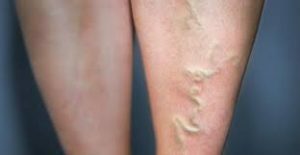 Varicose veins are pretty common skin conditions which many people experience. Some veins are small and inconsequential whereas others are large and troublesome. No matter which category your varicose veins fall within, you may be interested in treating them and making them a thing of the past. 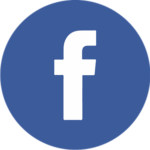 You may also wonder, “What are varicose veins causes and treatments?” Read on to learn more. 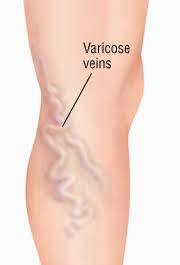 Varicose veins are enlarged veins which often become twisted. They can occur anywhere on your body, but you’ll often find them on your legs. 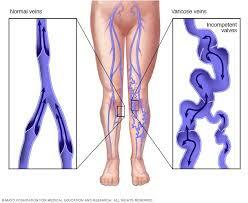 Most people just find that their varicose veins are not favorable for cosmetic reasons. However, sometimes varicose veins can lead to larger health problems, so it’s always a good idea to keep an eye on them. 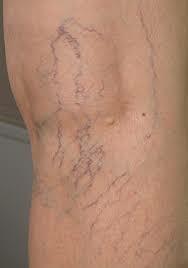 Age: The older you are, the more likely you are to have varicose veins develop. Gender: Women are more likely to have varicose veins than men, although men can get varicose veins, too. Pregnancy: Varicose veins can develop during pregnancy due to the increase of volume of blood in the body. Family history: You may have a predisposition to getting varicose veins. Obesity: Being overweight is something which can put added pressure on the veins. Standing and Sitting: When you stand or sit continually for too long, the blood doesn’t flow as well as it should and you can develop varicose veins as a result of this. Compression stockings: You can try wearing compression stockings to get the blood flow moving. 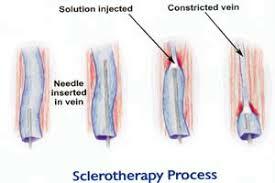 Sclerotherapy: A solution is injected into the vein and it works to scar and close the veins. You should see improvement a few weeks post-procedure. Laser treatment: Laser treatment is non-invasive as it works on the outside of the skin. Small bursts of light are directed at the vein to get the vein to disappear. High ligation and vein stripping: The vein is tied off and removed via small incisions. Ambulatory phlebectomy: Smaller varicose veins are removed through tiny skin punctures. These are a few of the treatment methods which might be recommended for your varicose vein removal. If you’ve been worried about your varicose veins and searching for a solution, NYC Vascular Specialist Dr. Norman Chideckel can help. He is well-versed in all areas regarding veins and vein treatment and will help you to find a solution which fits your needs perfectly. Contact Dr. Chideckel for a consultation today and start treating your varicose veins with ease. Spider veins are a problem for many individuals, especially when they are readily visible for all to see. 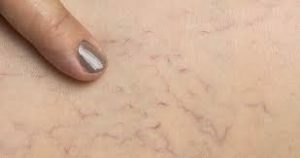 Fortunately, with today’s technology and medical offerings, getting rid of spider veins can be accomplished easily and with little discomfort on the part of the patient. One method to remove varicose veins is known as sclerotherapy. So, if you are asking what is sclerotherapy and will it get rid of my spider veins, read on to find out more. Sclerotherapy is one of the most common treatments for leg veins. This type of vein treatment method entails injecting a sclerosant solution into the vein, which will irritate the vessel and cause it to swell. The swelling will cut off the blood flow and make the vessels shrink. After the injection, the site area is massaged by the doctor and then a compression stocking is applied. The compression stocking is worn for two to three weeks and then removed. There is little recovery time needed and the end result is that the veins will be less apparent and ultimately disappear altogether. How Effective is Sclerotherapy with Removing Varicose Veins? 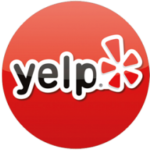 When choosing a vein removal method, you want the results to be effective. So, you want to be sure that the method you choose is one which will accomplish your desired spider vein removal goals. As for effectiveness, sclerotherapy is quite effective. In fact, studies have shown that sclerotherapy, when used to treat varicose and spider veins, has a success rate of approximately 60-80% with regard to eliminating treated veins. Now that you know more about sclerotherapy as a treatment method for spider veins, you may be wondering if this treatment method is right for you. Every individual is different and some cases will result in 100% successful treatment, meaning that all treated veins are removed entirely, whereas other individuals may see great improvement in vein removal, although certain traces of veins may still be visible. When you meet with a vein removal doctor, you can discuss the intricate qualities of sclerotherapy and see if this specific treatment method will be the right one for you to obtain. Be sure to peruse the options and ask any questions which you may have pertaining to vein removal procedures. Interested in getting started removing those unwanted spider veins and other varicose veins? 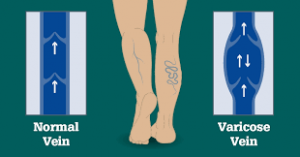 Norman Chideckel, MD, in Manhattan can provide you with the help you need to understand varicose vein removal and your options regarding the various procedures. Dr. Chideckel is a professional and reputable specialist in this field and will guide you along the way to pursuing vein-free skin. Contact Dr. Chideckel today to set up an appointment and get started pursuing blemish-free skin. Sometimes medical assistance is needed as it relates to veins in the body. There are a variety of venous conditions which often necessitate the help of a vascular surgeon, who is a specialist dealing with in the medical arena of veins. Some venous conditions are lower in urgency whereas others are more urgent as to how and when they are performed. Regardless of the urgency level, a well-versed professional such as a vascular surgeon can help you to tend to your venous medical needs. If you are wondering, what are the venous conditions that require a vascular surgeon, read on to learn the finer details regarding venous conditions and how a vascular surgeon can assist. When you have any of these conditions listed above, the vascular surgeon is the one to consult in order to remedy these medical conditions and pursue blemish-free skin. The vascular surgeon is well-versed in this medical specialty and knows the various intricacies surrounding these conditions. 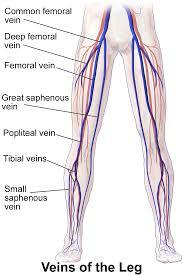 Vascular surgeons perform a wide array of procedures in conjunction with the venous conditions listed above. From procedures consisting of less than an hour from start to finish to those which are a bit more timely in nature, the vascular surgeon is your go-to medical professional when you need assistance with one or more venous conditions. These procedures listed above are ones which can be performed by a vascular surgeon as it pertains to vein related conditions which individuals may face. The exact type of treatment will depend on the venous condition which exists and what the doctor wishes to pursue, and the patient agrees to, as the best possible treatment method for a particular condition. If you are in the New York City area and find yourself seeking a vascular surgeon who offers treatment for venous conditions, Norman Chideckel, MD, is here to help. He will thoroughly evaluate your venous condition, provide a diagnosis, and offer treatment options for you to consider in order to make your venous conditions a thing of the past. Contact Dr. Chideckel today at the Vascular Surgery and Vein Center to schedule an appointment at his office in Manhattan and get started pursuing a treatment plan for your individual venous condition needs. Those small webs of blue or purple lines on legs can cause some women to lock themselves inside their house during the warm months. Spider veins can make you feel self-conscious and to some women they cause pain and discomfort. You will eventually ask yourself, how does one go about the treatment of spider veins? Luckily, there are many effective and safe methods available today that reduce or eliminate the appearance of spider veins. There are many preventive approaches you can try at home to prevent future veins appearing. But if you are ready to see these veins disappear, there are now several minimally invasive procedures that will bring your confidence back right along with your beautiful legs. A number of different factors have been known to contribute to the appearance of spider veins. Some of these include hormone imbalanced, inherited, Weight change (losing or gaining), smoking, inactivity, pregnancy, and standing or sitting for prolonged periods of time. Is Spider Vein Treatment A Good Option For Me? If your spider veins keep you from enjoying life or make you uncomfortable to do normal outdoor activities with your family, you may want to consider treatment for your spider veins. If your veins are causing you discomfort, pain, restless legs, and keep you from sleeping or resting, you may also want to seek treatment. Sclerotherapy: Conducted right in the doctor’s office in less than an hour, this is the most popular option for removing spider veins. The doctor will inject a solution directly into the vein, causing it to disappear gradually over the next few weeks. You will most likely be able to continue regular activity the same day. VeinGogh: This procedure is done as an outpatient procedure right in your doctor’s office. The procedure is usually pain-free and involves little or no downtime. VeinGogh is done with a small fiber, about the width or a single hair, to send heat into the affected vein. When inserted, the heat from the fiber causes the walls of the vein to breakdown. The vein eventually disappears. 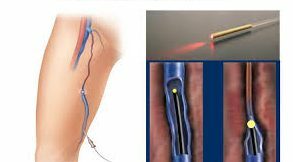 Endovenous Laser Treatment: This procedure is similar to the VeinGogh procedure, and may be used depending on the size of your affected vein. 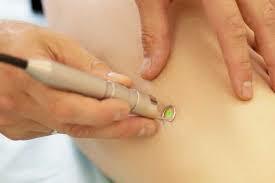 During this procedure, your doctor will insert a laser fiber into your targeted vein. Once the fibrous laser is activated it will heat up the vein, forcing it to collapse and close tightly like shrink wrap. The heat will not harm the surrounding area and the vein will fade. This is an outpatient procedure which uses anesthesia. If you think you are ready to see vein free legs when you look in the mirror, or ready to get rid of the discomfort you are probably a good candidate for vein treatment. Contact us today to schedule an appointment with Dr. Norman Chideckel for the treatment of spider veins.